A new study conducted by researchers from Tufts University suggests that healthy food prescriptions could be the answer for a number of traditional health concerns. The researchers say that if Medicare/Medicaid were to start doling out these prescriptions, the results would not only be cost effective but also leave patients with countless health benefits. “We found that encouraging people to eat healthy foods in Medicare and Medicaid -- healthy food prescriptions -- could be as or more cost effective as other common interventions, such as preventative drug treatments for hypertension or high cholesterol,” said researcher Yujin Lee, PhD. The researchers modeled two scenarios to measure how consumers’ health and overall cost would be affected by this change. The team used three years’ worth of data from the National Health and Nutrition Examination Survey (NHANES) to determine sample population sizes of those who would be eligible for Medicare, Medicaid, or both. In the first model, the researchers aimed to see the effects of Medicare and Medicaid picking up the tab for 30 percent of fruit and vegetable purchases via an electronic debit card. The second model also included fruits and vegetables, while also adding seafood, plant-based oils, whole grains, and nuts/seeds. Perhaps the biggest finding was that, overall, consumers wouldn’t be relying on healthcare as often. The researchers estimated that the first model would reduce healthcare costs by nearly $40 billion, while the second, more broad model would knock down healthcare costs by over $100 billion. “Our findings support implementation and evaluation of healthy food prescriptions within healthcare systems to improve the diet and health of Americans,” said researcher Renata Micha. From a health standpoint, the researchers found similar results. Estimating the results of current beneficiaries over the course of their lifetimes, the second model was predicted to prevent 120,000 cases of diabetes and over 3.2 million cases of cardiovascular disease; the first model was estimated to prevent nearly two million cases of cardiovascular disease. Recent studies have explored the countless benefits of eating healthy for physical and mental health, as well as for the environment. 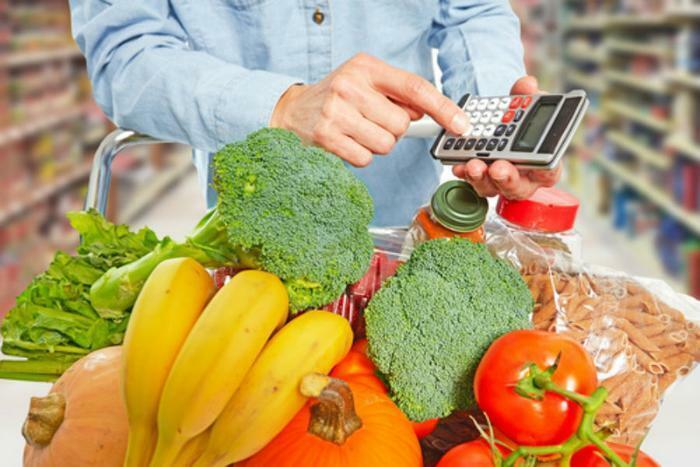 Researchers have also charted out how low-income families can eat healthy on a limited budget; however, making sure that consumers have access to proper federal programs is key. “This research demonstrates that menus that meet USDA guidelines can be purchased by a family of four when shopping at a bulk supermarket, but any reduction in SNAP benefits or increase in food costs would make it difficult for these economically vulnerable families to maintain a healthy lifestyle,” said researcher Dr. Karen M. Jetter.